It’s Spring. The birds are up singing at 4 a.m. and the rain goes on and on day after day. Some time in human history, someone (obviously feeling sleep-deprived from the early-bird awakenings and a little batty from being trapped in their cave by the torrential downpours outside) decided that this was the perfect time of year to engage in some obsessive nook-and-cranny cleaning. My enthusiasm for spring cleaning follows a cycle similar to that of the 17-year locust. 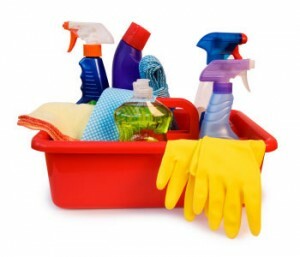 There are some years I’m totally into it: I’ll go out and buy all new cleaning equipment, make detailed lists of what needs accomplished, and tackle every mundane cleaning task with a vigor and thoroughness that would make Martha Stewart proud. Then there are the years when I could care less. Guess which kind of year this is. My house is a lost cause this Spring. Seriously. I could prove it with just a few pictures, but I don’t want to invite Family Protective Services to my home. Or A&E and TLC. It’ll get done…someday…when the timing is right…but until then, I feel as though I can’t break with tradition and abandon Spring cleaning altogether. So, I’ve decided to Spring clean our family iPad. STEP 1: Wait until the children are in bed. And then wait a little longer ’cause you know they didn’t fall asleep the second their head hit the pillow. Grab a cold beverage, sit on the couch, and watch a little bad TV while you wait for meaningful silence from their room. Once there is no risk of an adolescent interruption, proceed to Step 2. STEP 2: Turn on your charged iPad. Oh. Charged. Plug your iPad into its charger, fill up your cup, and watch more fantastically bad TV. Once ending credits are over, proceed to Step 3.